Scott Rodin has been serving not-for-profit organizations for the past twenty-nine years. He has served as counsel and led training in fund-raising, leadership and board development, and strategic planning for hundreds of organizations in the US, Canada, Middle East, Great Britain, China, and Australia. Dr. Rodin is president of Rodin Consulting, Inc. specializing in helping Christian non-profits take a biblical approach to strategic planning, board development and capital campaign fund-raising. Dr. Rodin is past president of the Christian Stewardship Association and Eastern Baptist Theological Seminary in Philadelphia. He is a Senior Fellow of the Association of Biblical Higher Education and serves on the boards of ChinaSource and the Evangelical Environmental Network. Dr. Rodin is married to Linda and they reside in Spokane, Washington. Ten divisions fell in line and in full armor marched in parade-like fashion around the walled fortress of Jericho. It took less than two hours and they were back in camp sitting, waiting and wondering. Everyone trusted Joshua. He was the appointed leader for this time. He was a fearless warrior, a man whom God anointed for the invasion of the Promised Land. So they granted him this curious tactic and waited for the command to attack. Steward leaders must understand the significant impact they have on their organizational culture. To help us think about that impact, consider the concept of fractals. Fractals are complex structures that originate in simplicity. One example is a fern, which appears to be a complex structure of countless shapes and patterns that are woven together to form its intricate and beautiful leaves. Yet the entire structure can be simplified to a basic four-line pattern that is simply repeated in various directions and sizes. Meaningful time with God can be found in the Sabbath moments that punctuate our day – if we are willing to look for them and treat them in that way. How do we best consecrate these islands of solace in our seas of tumult? I suggest we have ready a one-minute prayer. How do you see the people God puts in your path? How do you set priorities in the face of overwhelming requests for help? What does it look like when God’s Spirit is poured out on a people willing to surrender everything back to Him? There seems to be some common characteristics that mark these times of extraordinary fellowship and the palpable presence of God. This is a glimpse of the Christian community that will stand and boldly proclaim the name of Jesus in our age. Ever feel like your life is a constant battle? Want three keys to turning those battles into minor skirmishes? These battles are where the enemy seeks to render us ineffective in our work for our Lord. Scott reminds us that God is the owner of all aspects of a true leader’s life and calling. Releasing the ownership of these aspects to God’s capable hands gives the leader a great freedom from slavery to the responsibilities. This way of leadership is a journey of disciplined practice that leads to selflessness and being more Christ-like. Leaders may be described as curving inward toward themselves and their own interests or curving outwards towards others. How do we achieve the convex shape of the leader who is “curved outward” toward those they lead and serve? Authors of leadership books should study clay in a potter’s hands. 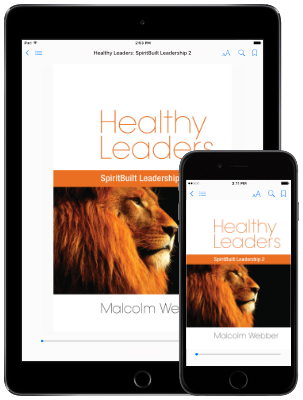 What I see as the shortcoming of so many leadership books is that they start with what effective leaders do and then assume that if everyone does the same things they, too, will be successful. What they miss is that leaders are effective primarily because of who they are, and as they are changed from the inside out, leaders will become usable by God to bring true transformation to His people. Fall follows Summer, which follows Spring and time marches on just as God designed. He limited time for us in set hours in a day, and set days in a week. We think there are not enough hours in a day, but God knew before He created time how mankind would use it. Scott discusses some poignant points about time management, and notes that pride may be the greatest weakness regarding the use of our time. Two-by-two provides protection. It provides another set of eyes to watch and ears to listen, to be on the alert for the enemy. It allows also for one to rest while the other is on watch. This keeps both in the battle. Two-by-two provides a system of accountability. By laboring together one can help the other stay on the narrow road. Wisdom sends the enemy fleeing. It is God’s gift-in-waiting. All we need to do is ask for it, seek after it and expect God to provide it. What will you do today to accept this gift? How is your conscience? Is it clear or conflicted? Is it Holy Spirit guided or weak … even seared? The life we are offered as a disciple of Jesus Christ is the life of the steward. As stewards, we are set free by three transformational truths: God owns everything, God will always provide for all our needs, and the greatest blessings come to those who give. If we want a different story to begin to unfold for us today, then we must understand two very important truths about our life with Christ. In this battle God secured the final victory, and God provides everything we need for daily victory. I want to challenge Christ followers to make unequivocal commitments to stop doing three things that rob us of the full life God created us to live.